According to a complaint filed by a Miami law firm, the great State of Florida has apparently taken an awkward step in the wrong direction with regards to both our technological well-being and future, as well as adherence to the United States Constitution. If we’re to read the law signed by Gov. Rick Scott banning Internet cafes and gaming the same way as the law firm Kluger, Kaplan, Silverman, Katzen, & Levine, it’s almost laughable to think of the implications. Relationships would crumble, business would grind to a halt and nobody could Facebook, Tweet, or Internet date. It would be 1998 in Florida again and we would all be very grouchy. The firm goes on to note that this does NOT mean beverage vending machines, but they do not include the much more crucial and prevalent computers or cell phones. So at least you can still buy a Fanta. The law was introduced because one of Rick Scott's hand picked employees, former Lt. Governor Jennifer Carroll, got caught up in a pseudo gambling ring that was represented by her public relations as a legitimate business. Basically, the Internet cafes were selling phone cards that acted as gambling vouchers when used on site for games like slots or video poker. Once law enforcement caught wind of the scheme and started asking Carroll questions, she resigned. Oh and don't worry. Carroll landed on her feet with a weapons manufacturer. 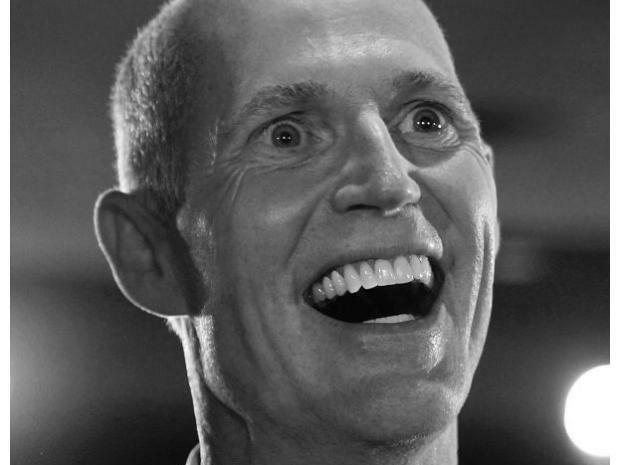 Rick Scott sure knows how to pick 'em. Though her spot has yet to be filled. Attorney for the firm Justin Kaplan says, “Our argument is that the legislation lumps them all together,” thus accidentally implying that your cell phone and computer could potentially be in danger of violating the new law. And if you think this law firm was possibly an attention-seeking, over-zealous and litigious bunch of folks trying to capitalize on a poorly-worded bill, you’d be wrong. This is not a crackpot operation. They are one of the best firms in Miami. As a matter of fact, in this particular case, they have retained the services of attorney Alan Dershowitz, the famed advisor to the O.J. Simpson defense team and one of the most highly esteemed lawyers alive. Add this to the long list of chuckle worthy screw-ups the state has produced, whether officially or unofficially, and we’re no longer just known for “hanging chads” because as the internet grows so does the lowlight reel of Florida’s perpetual embarrassment. Just take a look at the Florida Man Twitter feed. Most Floridians sort of accept this vexing and ostensibly absurd perception of us, but there’s an underlying feeling that we could be doing better. It’s time to put Rick Scott on blast. This is stupid. Is there not a capable team of lawyers and various other experts who look at these pieces of legislation? If so, how did they not catch something so egregious as the potential to cripple personal and business relationships across the state?